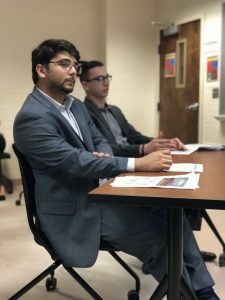 April 6, 2018 by Theresa B. Clarke 0 comments on "The Fourth Annual Silverback Strategies AdWords Test Challenge"
Jacob Shibley and Brendan Reece watching Digital Marketing Practicum students present about campaign performance. Andrew Nelson providing feedback to the Madison Digital Marketing Experience Class of 2018. Rebecca Kilcoyne (2nd), Jacob Shibley, Briana Cifelli (1st), Brendan Reece, Jenn Helenek (3rd), and Andrew Nelson. Through a generous donation of prizes from Silverback Strategies students in my MKTG 477 class were motivated to perform well on my very challenging final exam. Briana Cifelli was the 2018 grand prize winner for achieving the highest score in the class. Briana is a senior marketing major with a minor in Honors Interdisciplinary Studies. 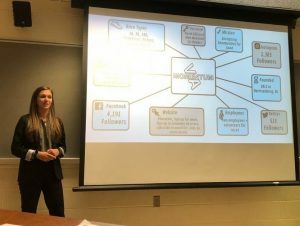 She recently completed her honors thesis and was a 2018 nominee for JMU’s Best Senior Honors Thesis Award sponsored by the Phi Beta Kappa and Phi Kappa Phi Honors Societies. 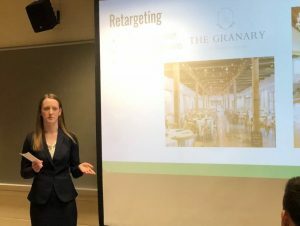 Briana is a member of Gamma Phi Beta sorority and is one of the founding members of the newly established Delta Mu Sigma, an honorary society which recognizes excellence in digital marketing. Her work experience includes a variety of internships in production, social media, marketing, retail, and research. 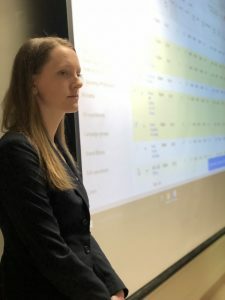 Rebecca Kilcoyne earned the second highest exam score and Jenn Helenek came in third. Thank you to Silverback for donating great prizes as incentives! 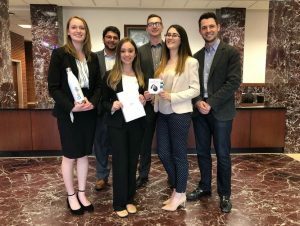 First team in become certified in Google AdWords Search – Team Adler, consisting of Jami Adler, Megan Charnovich, Alex Goldfarb, and Nicole Swindell. Andrew Nelson, Jacob Shibley, and Brendan Reece from Silverback Strategies watched team presentations about the first week of AdWords performance and they provided a lot of very helpful feedback. After the presentations, students voted for Team Nininger for delivering the best overall presentation. This team consisted of Haley Nininger, Jenn Helenek, Rebecca Kilcoyne and Greta Wolking. Haley Nininger from Team Nininger, voted best presentation in the class. Greta Wolking from Team Nininger, voted best presentation in the class. 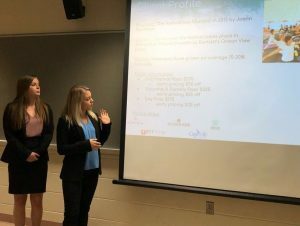 Rebecca Kilcoyne and Jenn Helenek from Team Nininger, voted best presentation in the class. 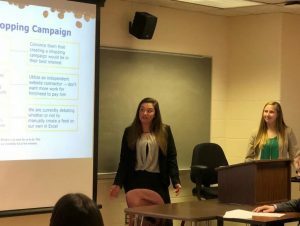 The class voted for Shannon Evans, Alex Goldfarb, Greta Wolking, and Haley Yates as the best individual presenters in the class. 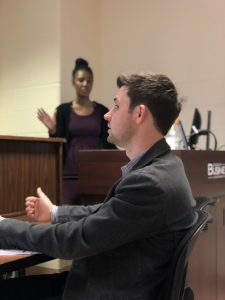 Shannon Evans – voted one of the best individual presenters in the class. 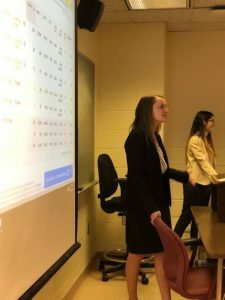 Alex Goldfarb, voted one of the best individual presenters in the class, and her teammate Nicole Swindell. 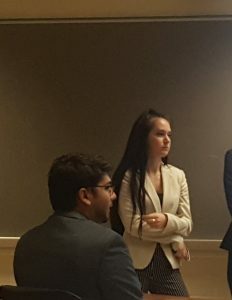 Greta Wolking – voted one of the best individual presenters in the class. Haley Yates, voted one of the best individual presenters in the class, and her teammate Savannah Kerchner.